Water. I love it. Whether in it, on it or under it. My favorite summer activity growing up was going to the local swimming pool and spending as much time under the water as I could. Let the other kids chase their friends around the pool and splash—I was more interested in seeing what was going on beneath the surface, the quietness, the reflections of the sunlight dancing on every surface. Which makes the San Juan Islands pretty much the perfect destination for a water-lover like me, with ferries chugging between small island-bound port towns and with water-based activities—kayaking, sailing, beachcombing, swimming, canoeing, you-name-it-they've-got-it—in abundance. 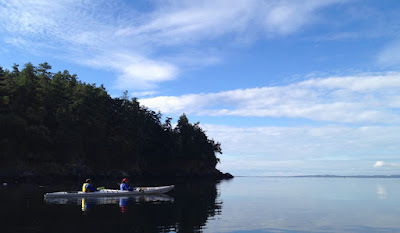 So when I read that the media trip to explore the Salish Sea came with a choice of a kayaking expedition on its calm inland waterways, any other activities offered fell by the wayside. We met Nate, the be-dreadlocked, smiling young tour guide from Discovery Sea Kayaks in Friday Harbor, and as he drove us to our launch site at San Juan County Park, he explained the route we'd be taking that day as well as procedures we'd need to follow. After hauling our boats down to the water, he paired us up, fitted us into our gear, adjusted the boat pedals and pushed us off. Freedom! Paddling by the lighthouse at Lime Kiln Point. Well, pretty much, anyway. 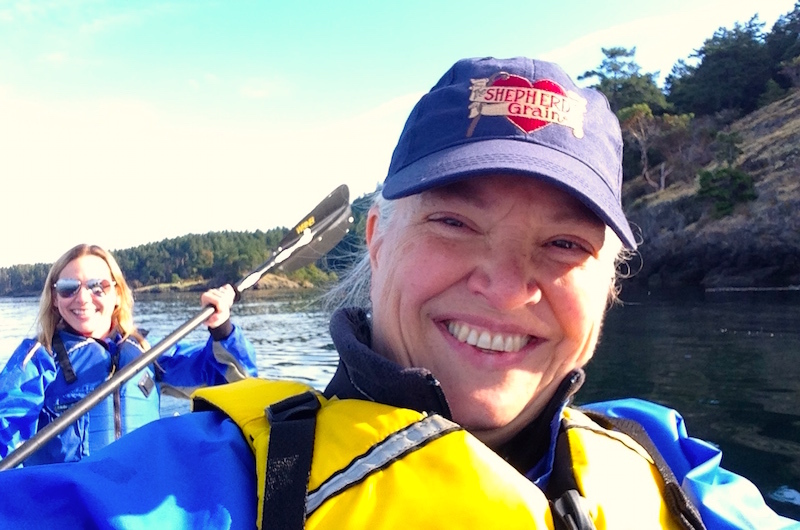 The captain of our two-person kayak—I opted to sit up front—was family travel blogger Kimberly Tate, who ably piloted us out into the main channel as we headed south down the island to Lime Kiln Point State Park. As you can see from the photos, the day was spectacular…a not-too-warm, not-too-cool, virtually cloudless day with a very light breeze, perfect for paddling. As we made our way to the park, Nate talked knowledgeably about the various creatures we saw, including seals and jellyfish, and the natural life of the island. He was impressively well-informed about the history of the place, from loggers and fishermen to the workers in the lime kilns that were visible from the water. He kept us on a steady pace, and three hours later when we pulled our kayaks back up on the beach, he estimated we'd paddled close to an incredible six miles that morning. Perfect post-paddle spot, the Cask & Schooner. 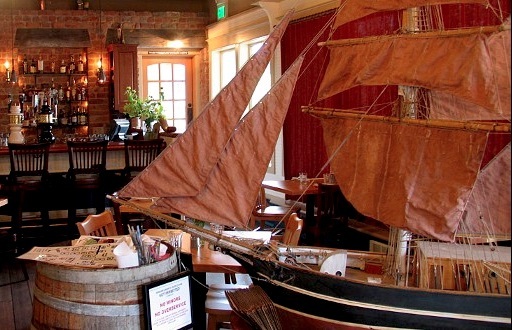 After that, lunch was a necessity, and luckily for us it just so happened that the Cask and Schooner pub was just down the block from the Sea Quest storefront. Kim and I, exhausted but exhilerated, plopped down at a table and ordered pints of ice-cold microbrews, with which we toasted our intrepid-ness. The fish and chips were one of the better versions I've had in recent memory, though I'd have mowed through just about anything set before me after that morning of exertion. The perfect capper to this day of outdoor water adventure was a whale-watching tour between San Juan Island and Port Townsend, the next destination on the trip. The Glacier Spirit, a mid-size boat with a comfy cabin and large windows, is part of the Puget Sound Express fleet owned by the Hanke family, who have been sailing the waters of the Salish Sea for three generations. Because it was a perfect, clear day, I spent most of the time on the wrap-around deck outside, the sunlight sparkling off the water. 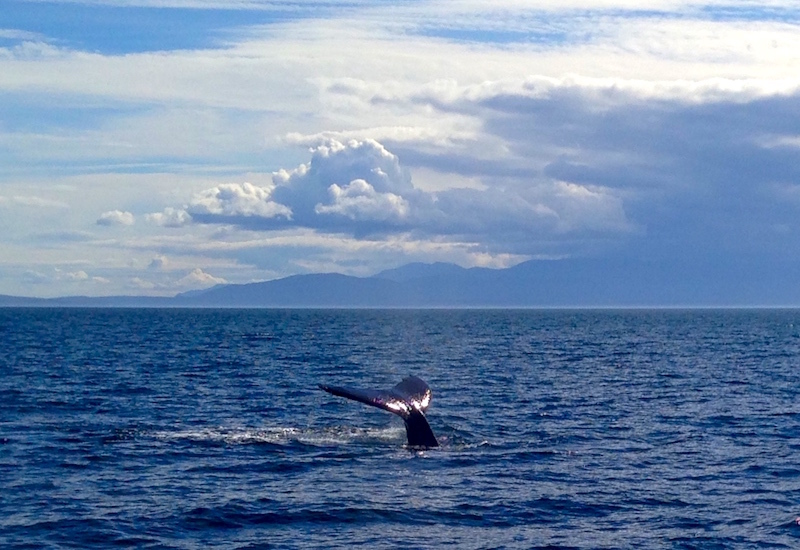 These folks know the local whales' favorite hangouts, so it wasn't long before we saw our first whale gliding by. Regulations require that boats give the creatures a 200-yard berth and stay out of their path, as well as keeping a slow pace when they're within 400 yards—keeping the risk of any potential encounters to a minimum, as well as reducing engine noise that could disturb the whales' habitat. During the three-hour tour (insert Gilligan's Island jokes here) we saw several whales spouting and, between sightings, the captain gave a running commentary on the habits and proclivities of the various types of whales that inhabit the area. As we neared our destination we had the great privilege of seeing two visiting humpback whales breaching, spouting and diving. And, despite the distance required, we were able to hear them breathing when they surfaced, a sight and a sound that brought tears to my eyes and is an experience I'll never forget. Such magnificent creatures. Read the other posts in this series: San Juan Island, Pt. 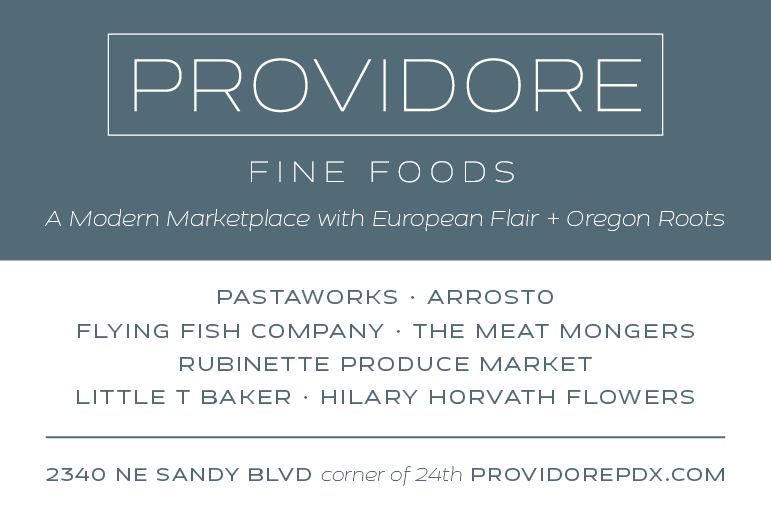 1 and Port Townsend and Fort Worden.